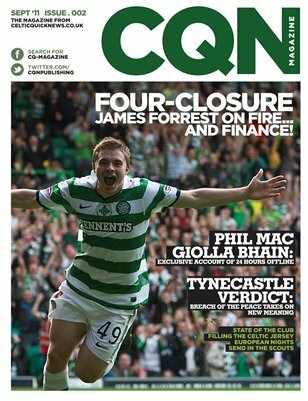 Celtic Quick News Magazine’s second edition brings to the supporters of this famous club more powerful hard-hitting articles from the writers on the best Celtic forum on Earth. We have features on the transfer window, on financial fair play, on why Celtic’s scouting system is an important part of building success, and we have the inside story of the attempts to silence the investigative journalist Phil Mac Giolla Bhain. We examine Celtic’s chances of progressing in the Europa League and we look at Neil Lennon’s trial verdict from a legal perspective. CQN Magazine is published on Calameo for digital download and viewing, and can be purchased in a print version on Magcloud. It is published by 241 Media, the people behind tilllate. Our first edition was a massive success with 20,000 plus readers. This one is even better!